At Shelton Painting, we believe it is important to give back to the community as our small business grows. To make this possible, we offer the incentive of charitable contributions for our Sacramento, California, clients. Our customer referral program recognizes those who help us by sending business our way. 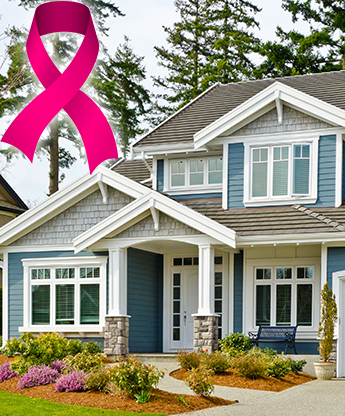 When you refer someone to our business and that person hires us for a painting job, we make a contribution to the local chapter of the American Cancer Society in your honor. Every customer is encouraged to refer friends and family to our business. We work hard to gain your satisfaction, and getting a referral is the best compliment we could receive. This is our way of saying thank you. Why Choose the American Cancer Society? The fight against cancer is a cause worthy of support. Almost everyone has a friend or family member who has battled against this disease or died from it. We want more people to win the fight against cancer, and donating helps contribute to research and potentially life-saving treatments. If you would like us to make a donation to another cause in your name, let us know. We are more than happy to do so. All of our fellow contractors visiting this site can do the same for their customers. Let's all work together to give back. We can make a difference.